Please enter your email and click on "send". You will then receive your new password in your mailbox in a few minutes. Please add "contact@payduo.com" to your contacts. What could be better than a live demo ? 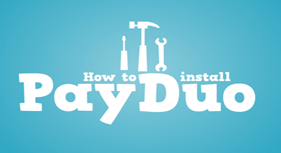 Customise the PayDuo experience to your needs. Our API service adapts to you & your clients. from the many themes we offer. merchant & buy a pre-paid card in store. Pay with a fixed line. information are secure with us. Personal content under lock & key. Transactions occur in real time and you'll see your profits as they accumulate. Direct & fast! With our service, there's no software to download. You can control your business just by using our simple, online interface. No hassle! Each purchased is secured by PayDuo. We employ encryption & fraud prevention tools. 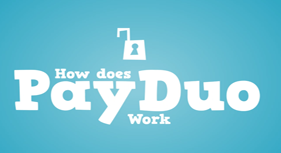 Pay Duo will never share your confidential information with others. Period. Set-up is a sinch. Sign up now and start monetizing your audience. You’ve only got to copy and paste our pre-prepared scripts on to your site. Pay Duo pays you faster than anyone else. Your profits are pocketed within days. 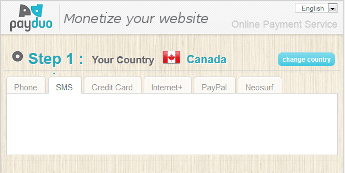 Pay Duo not only monetizes your site, we also protect your content. Pay Duo is never more than a click away. With our responsive Customer Service, you’ll never be left in the dark. Thanks for your advice- I was successful! Congratulations and thanks for your excellent work… really ! The Lemon Metal theme is absolutely wonderful ! I recommend Starpass and their customer support. Impeccable service. Thank you very much for your comphrensive & precise response. Quick maintenance, no problems, Thanks ! You all are the best :-( . You have managed to do the impossible even when I didn’t believe it myself. I’ll be loyal! I’d like to thank you for your quickness. I won’t forget to let everyone around me know! We strive to provide our clients an easily accessible and straight-forward service for monetizing their website, whether it be a blog or a fan site. Thanks to our connections with internet and telephone providers worldwide, we enable our own clients to monetize their audience regardless of their location and that of their own customers. 1990's With Audiotel services, BD dives headfirst into the internet era. 2000 BD introduces information technology consulting and telemated voice services. 2007 The French language version of PayDuo, Starpass, is launched.